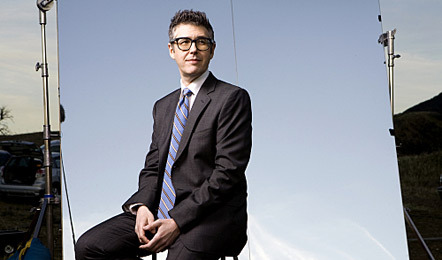 Friday/weekend: "This American Life," must-see TV for the NPR set. Plus: What did you think of "Grey's Anatomy" on Thursday? On Friday, "20/20" (8 p.m. EDT on ABC) investigates whether Michelangelo included coded messages on the Sistine Chapel (hello, Celestine prophets! ), and Starbuck continues her search for Earth on "Battlestar Galactica" (10 p.m. on Sci Fi). On Saturday, "The Chronicles of Narnia: The Lion, the Witch and the Wardrobe" is featured on the Wonderful World of Disney (8 p.m. on ABC), then "Robin Hood" airs at 9 p.m. on BBC America. And fans of Rosamunde Pilcher's novel "The Shell Seekers" may want to check out the movie starring Vanessa Redgrave (9 p.m. on Hallmark). On Sunday, the finale of "Wire in the Blood" airs at 8 p.m. on BBC America, and Masterpiece features "Cranford," a three-part adaptation of Elizabeth Gaskell's novel starring Judi Dench (9 p.m. on PBS, check listings). What did you think of "Grey's Anatomy" on Thursday? Go here to discuss.